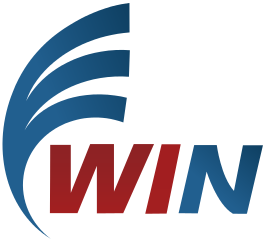 The Chair of Digital Industrial Service Systems attended to the “Internationale Tagung Wirtschaftsinformatik (WI 2019)” organized by University of Siegen. 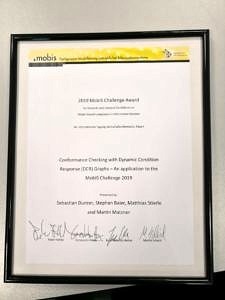 On 24th February, Stephan Baier presented “Conformance Checking with Dynamic Condition Response (DCR) Graphs” in the workshop and was granted the 2019 MobIS Challenge Award! As part of the WI, the workshop of “Model-based Compliance in Information Systems (MobIS) Challenge” was designed for students and doctoral candidates who were encouraged to determine different ways to apply IT tools for analyzing and enhancing process compliance. The attendees analyzed the provided data set with IT tools of their preference in order to determine compliance violations, problematic incidents and to find solutions for securing the compliance of a future as-is-process. Moreover, they were also welcomed to detect deficiencies in the process or the organization beyond conformance issues and make suggestion for their improvement. After the examination of the challenge submissions and comparison of the results, the best methods that addressed the existing task were selected for presentation during the workshop. We would like to thank to the organizers and the participants for all their contributions and great discussions.